On Friday, in the “Little Havana” neighbourhood of Miami, surrounded by Cuban Americans, President Donald Trump’s words for Cuba were “we will enforce the ban on tourism.” However, his edict will have very little effect on the cruise lines that have been able to return to Cuba in the last year thanks to a loosening of regulations by former president Barack Obama. 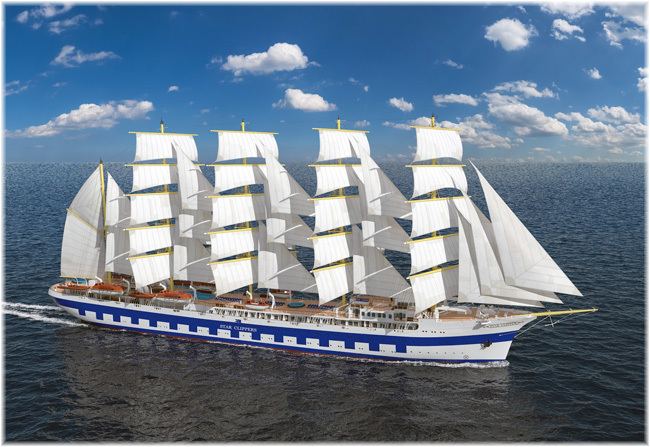 In Croatia, meanwhile, the world’s largest sailing ship, the 300-passenger Flying Clipper, was launched for Star Clippers. Finally, Sunstone Ships’ 230-berth Ocean Atlantic has recently re-entered service as an expedtion ship. Last Friday the Trump administration announced tightened restrictions on travel and trade with Cuba, restrictions that had only recently been loosened by President Obama. But President Trump’s words on Friday, “we will enforce the ban on tourism,” will not have any immediate effect on the cruises already planned for Cuba. Earlier in the same week US Secretary of State Rex Tillerson had said that Cuba “must begin to address human rights challenges,” noting that the loosening of restrictions had benefitted Cuba in violation of US Laws. Trump’s new presidential directive called for tighter enforcement of the exisitng ban on American tourists going to Cuba. The new policy will ban US transactions with the Armed Forces Business Enterprises Group (GAESA), which is involved in all sectors of the Cuban economy. However, the new rules will exempt air and sea travel, allowing US airlines and cruise lines to continue serving the island nation. The biggest change will be doing away with “people-to-people” exchanges. These trips were enabled under the Obama administration so Americans could travel to Cuba without seeking permission or having to schedule the trip through a licensed tour operator. Trump’s new policy makes an exception for companies already doing business with GAESA, so flights, cruises, and existing hotel reservations will all be exempt. The new rules maintain the requirement that Americans traveling to Cuba must do so under the twelve approved forms, with which US-based cruise lines already comply. However, purchases at any Cuban government-run facilities, such as bars and restaurants, and possibly even car rentals, will now be prohibited. In the worst case scenario it could be that passengers will only be allowed to go ashore on company-sponsored shore excursions. As of now, the best-known regular visitors to Havana will soon be Royal Caribbean International’s 1,600-berth Empress of the Seas, Norwegian Cruise Line’s 2,002-berth Norwegian Sky and Carnival Cruise Line’s 2,052-berth Carnival Paradise, modestly-sized ships in today’s market. This trio will operate primarily 4- and 5-day cruises with a night in Havana, rather than on the usual cruise duration of 7 nights from Florida. These ships join the European-operated 966-berth Celestyal Crystal and 1,756-berth MSC Opera, which have been operating 7-night cruises from Havana for some time now. The Empress of the Seas and Carnival Paradise sail from Tampa, which was the original port for Havana departures based as it was at the end of rail on Florida’s West Coast. It was from here that a young Winston Churchill sailed to Havana on Plant Line’s Olivette in November 1895 before he acquired his famous taste for Cuban cigars. Of the more upmarket ships, Oceania’s 1,250-berth Marina will be joined later this year by the 684-berth Insignia and Azamara Club Cruises’ 684-berth Azamara Quest, both R ships from Miami, and Holland America Line’s 1,348-berth Veendam from Fort Lauderdale. Ship size is restricted not only by Havana’s quaint but now out of date dock facilities but also by a tunnel built under Havana harbour in 1957-58 that sets maximum draft limitations. The first modern US-based cruise ship to sail to Cuba was Carnival Corp & plc’s 700-berth Adonia, which first left Miami for Havana on May 2, 2016, and operated until the end of last month under the Fathom brand. These cruises alternated with sailings to the Dominican Republic at Puerto Plata but the vessel has now been returned to P&O Cruises. Carnival Cruise Line will replace these sailings, starting with a 4-night cruise from Tampa on the much larger Carnival Paradise on June 29. Carnival Paradise began life as Carnival’s only non-smoking ship (this regime ended in 2003) and later operated out of Long Beach. 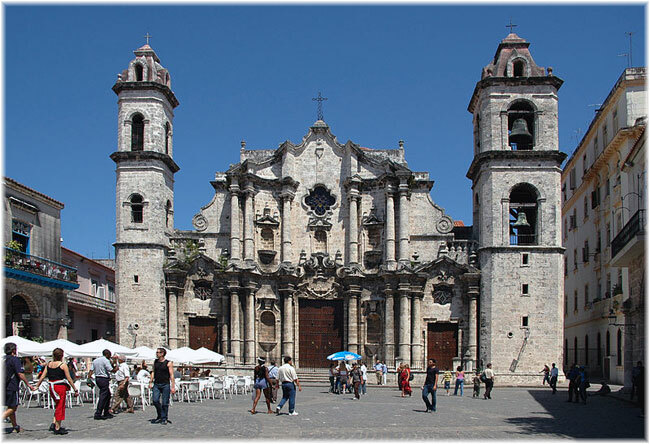 Her Tampa-based 4-night Havana cruises will alternate with 5-night Western Caribbean cruises. 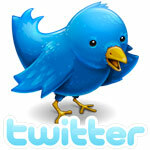 The world’s largest sailing ship was launched at the Brodosplit shipyard in Croatia on June 10, a week ago Saturday. The Flying Clipper is a close replica of the France II delivered in 1913 by the La Gironde shipyard in Bordeaux. The vessel is being built for Star Clippers of Monaco and has a steel hull with teak decking. With dimensions of 532 x 60 feet, she is a five-masted square-rigger with an overall sail area of 68,300 sq ft.
She has five decks and accommodates 300 passengers in 150 luxury cabins. Flying Clipper is designed to sail in all oceans, including the Arctic and Antarctic, and is being completed to a full ice class requirement. She is expected to be capable of sailing at up to 20 knots under the favourable weather conditions or motoring at around 16 knots under power. She will enter service in 2018. The Ocean Atlantic, built in Poland in 1986 as the Konstantin Chernenko, and renamed Russ in 1988, has been reactivated after a lay up of about a year and a half at Helsingborg. She had previously operated as an accommodation ship in the Shetlands and the North Sea. Ocean Atlantic underwent conversion into an expedition ship at Gdansk in May, during which the owners added twenty new Zodiacs, Zodiac cranes and landing platforms. As well, they added new Observation and Lecture Lounges, and implemented a complete interior upgrade of the passenger cabins. 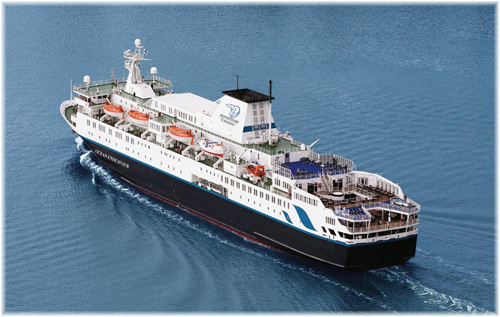 As an expedition ship, she is now operating on charter to Denmark’s Albatros Travel. She will then go to Quark Expeditions for the winter Antarctic season. Originally designed for 410 passengers, the Ocean Atlartic is now limited to 230 guests. This ship is one of seven sister ships built around this era for use by Soviet shipping companies as ferries or passenger ships. In December 1991 the newly-formed Pacific Cruise Company placed the Mikhail Sholokhov into the cruise trade out of Sydney, and at the end of 1992 the Russ was added. 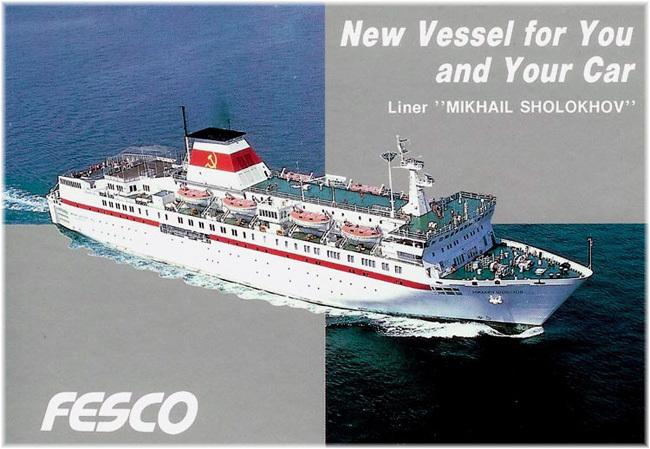 Pacific Cruise Co acted as general sales agent for the Far Eastern Shipping Co of Vladivostock. 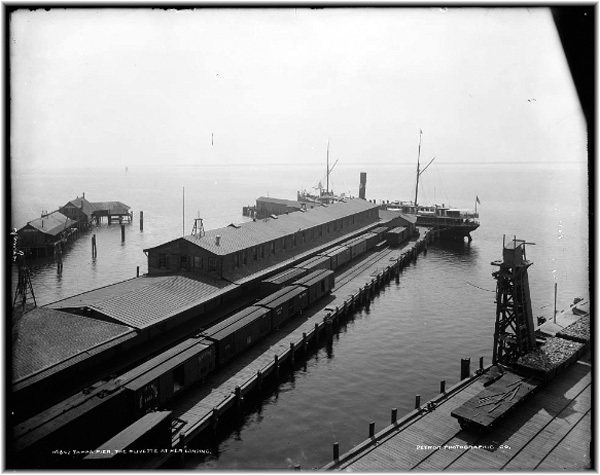 As cruise ships, their capacity was limited to between 275 and 300 passengers. The Russ soon found her way to the UK, where by 1994 she was operating for Saga as their first ex-UK dedicated cruise ship. 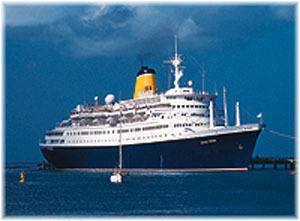 Saga later put the vast majority of its cruise business on P&O, which added the Victoria as a second ship in 1995. And when Saga fell out with P&O it moved again to operating its own ship, this time buying the Sagafjord from Cunard in 1997 and placing her into service as the Saga Rose. The last of the seven sisters (the others have all now gone for scrap), the Ocean Endeavour, was built as Konstantin Simonov in 1982, and has been engaged as an expedition ship for two years now, operating under charter to Adventure Canada by summer in the Arctic and to Quark Expeditions in the Antarctic by winter. The Ocean Endeavour is now limited to 199 passengers. 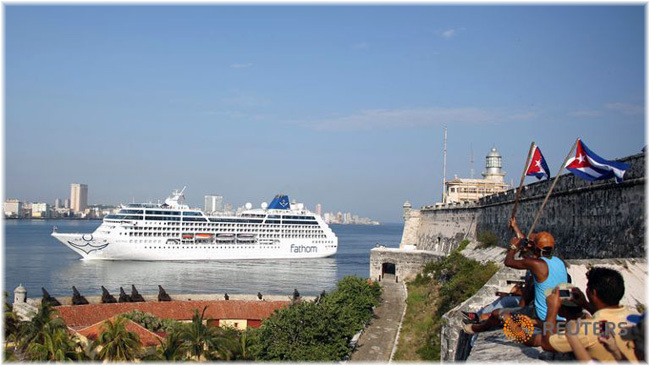 Both the Ocean Atlantic and Ocean Endeavour are operated by Sunstone Ships under the management of Cruise Management International Inc, both of Miami.